Photo courtesy @plcorbett via Twitter. 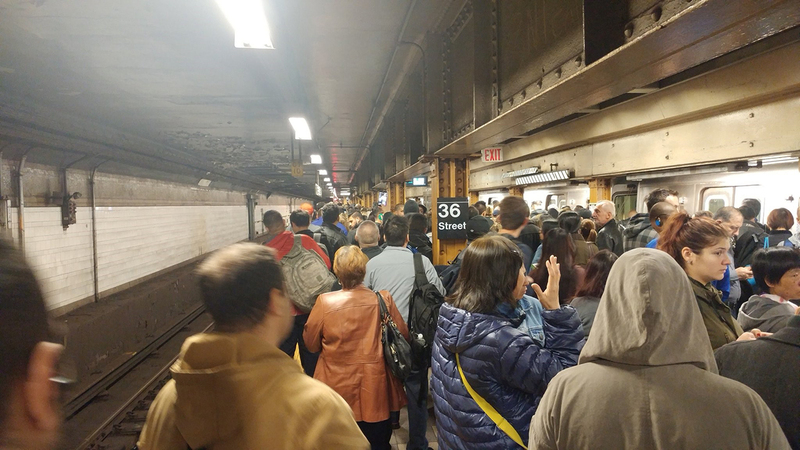 NEW YORK (WABC) -- Service resumed with extensive delays on six subway lines that were disrupted Tuesday morning following a power problem in Brooklyn. The problem affected signals at the DeKalb Avenue station in Fort Greene. The MTA warned riders that they would still experience delays on the B, D, N, Q, R and W lines. B trains had been suspended on the entire line after the power issue.